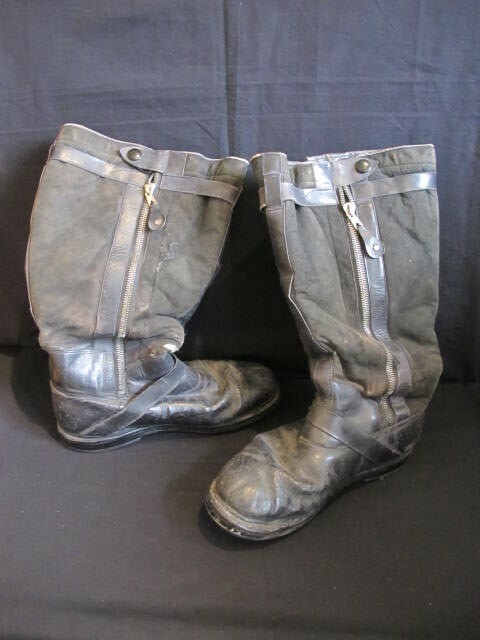 Good pair of WWII Luftwaffe Battle of Britain period scarce double zip flying boots. 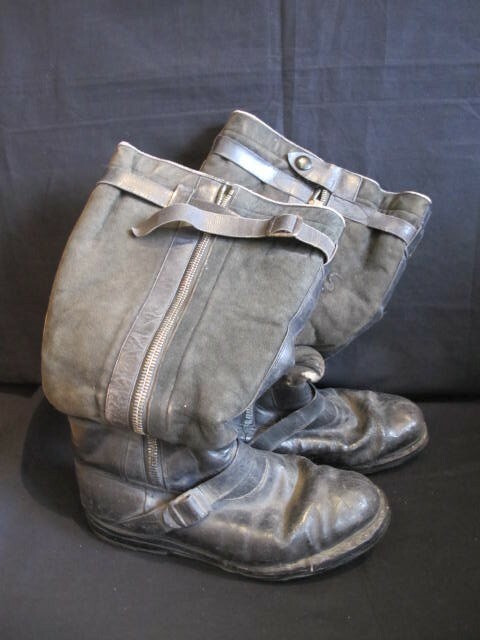 Leather and suede boots in good overall condition for age. Original heels and soles and complete with all straps and zips. 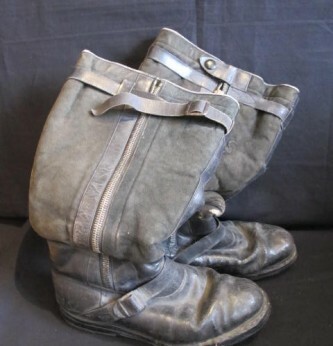 Sheepskin lined with manufacturers label to top of boot. 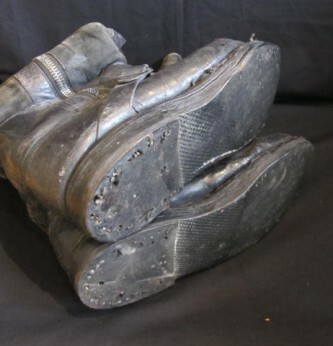 (unfortunately now worn and un-readable). 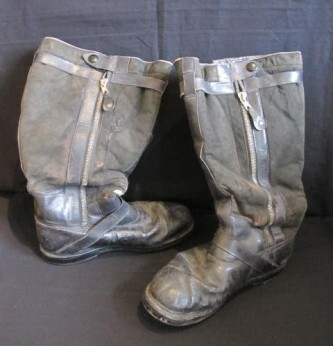 These double zip boots were popular during the early part of the war and commonly worn in the Battle of Britain by Luftwaffe fighter pilots. 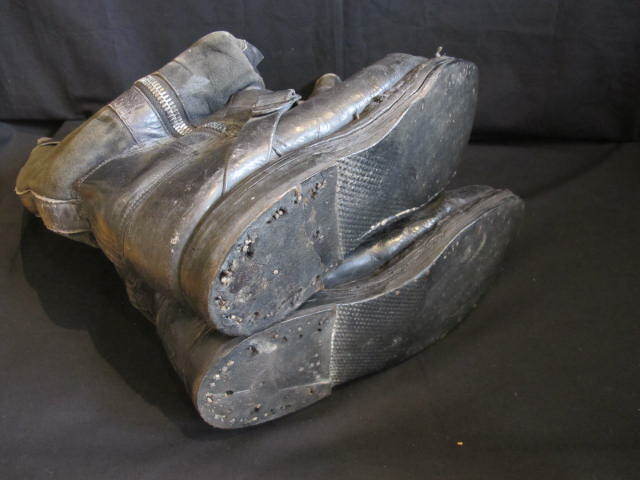 Although these boots have been worn they are in generally good condition. Hard to find nowadays in this condition.